A fresh new radio station is launching across Merseyside that brings the local touch back to Liverpool. 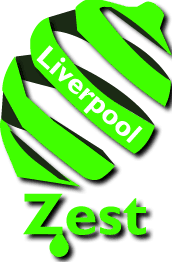 Zest Liverpool, a lively new station launches on DAB digital radio on Easter Monday 17 April at 8am. Broadcasting from studios in the city, Zest will be playing a mix of upbeat classics and lively tracks along with the best of the current releases. The station will feature both familiar and new names. Whilst Zest will be packed with great music the station plans to talk up the best of what Liverpool has to offer. As well as broadcasting on DAB listeners will be able to access the station online and via their mobiles.